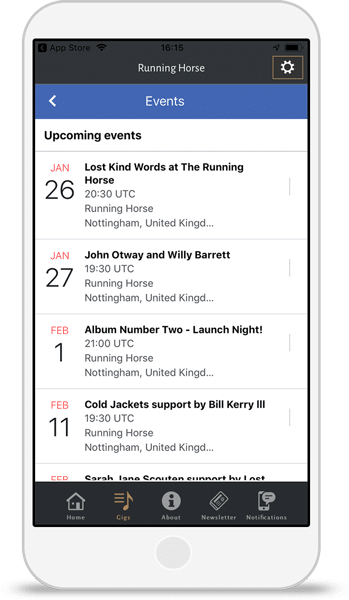 Display your Facebook events in one easy to access tab within your app so customers never miss a date. Using your Facebook and Website URL, we’ll pull in your brand colours and business info. Select the Facebook Event tab to allow app users to access your event through the app. Our easy publish wizard makes it easy to launch your Facebook event app on the app stores.